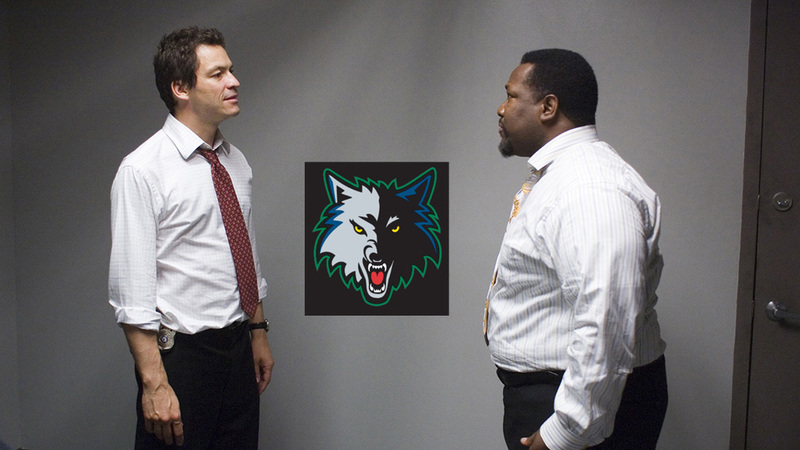 Good Cop: Wolves win! The Timberwolves beat the visiting Philadelphia 76ers 106-99 at Target Center on a bitter-cold, not-yet-actually-Winter’s night. The victory ups their record to 11-11, back to .500 around the season’s quarter mark. Good Cop: Ricky scored 21 points and played one helluva floor game. He buried a clutch three to tie the game in the fourth quarter, and made one of his patented, Ed Reed-like (oxymoron alert) interceptions of an inbounds pass with less than two minutes to go to help seal the win. It’s hard to overstate the importance of Rubio being an offensive threat. If I had to point to one thing that could raise the Timberwolves ceiling from “first-round exit playoff team” to title contender it would be Rubio developing the ability and confidence to knock down open jump shots without hesitation. Tonight was one small step in the right direction. It’s a long process and reports suggest he’s working hard on his shot. We all should hope to see more games like tonight’s from him. Good Cop: ROBBIE HUMMEL!!! Dammit, this guy needs to play! He’s the one and only player on the team that is a pure catch-and-shooter. He spaces the floor. He gives a crap on defense, even if he isn’t super quick or athletic. He had 10 points on 4-6 shooting and 3 rebounds in just 12 minutes. In that small amount of crunchtime play, he was (tied for Pekovic with) a team-best (+16). On the season, he has one of the team’s best plus/minus ratings, and this is now growing into a significant sample size. The Wolves have a lot of poor shooters. Even Kevin Martin, who is obviously a great one, has a funky enough shot release that he doesn’t always space the floor the way someone with a quick trigger like Hummel does. (Don’t interpret that as me saying Hummel is a better player, or even better shooter, than Martin.) I don’t know how Robbie played his way out of Adelman’s rotation so quickly, but they might need him out there instead of Mbah a Moute for games that don’t include LeBron James or Carmelo Anthony. Bad Cop: Evan Turner was bad. I don’t know if that fits into this theme, but it warrants some attention. After a nice scoring start, Turner Turned into a Turnover machine. He had 9 of them for the game. Good Cop: Love and Pek combined for 46 points, 25 rebounds and 8 assists. After a rocky start, both guys made a huge impact in the second half. This needs to be an almost-every-night thing. Just follow the money. These guys make the most of it and need to produce. Good Cop: We’ll close on a high note. The Wolves now have a winning streak; the first since the season’s 6th and 7th games. Continuing it on Friday Night at San Antonio will be difficult to say the least. Perhaps the Wolves can pick up their first great win of the season and really get something going.